With Southern-inspired delicacies like these, you might want to enjoy more than one dinner at this restaurant in Gatlinburg on your romantic escape. Another romantic restaurant in Gatlinburg that offers a historic setting is the Peddler steakhouse. An area favorite since 1976, the restaurant features the elements of old wood cabins in its unique. You'll also find modern additions to the interior with stained glass and murals. The back dining room of this restaurant overlooks the West Prong of the Little Pigeon River, providing a romantic view of the Smoky Mountains and its flora and fauna. 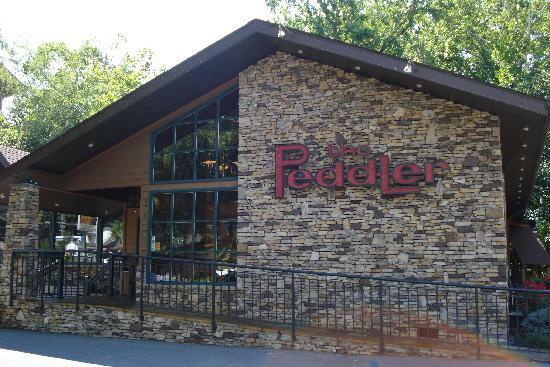 After a dinner at The Peddler, you'll see why it's one of the classic romantic restaurants in Gatlinburg that couples come to year after year. Loaded Baked Potato Cheddar Cheese Fondue - A delicious cheese fondue to start your meal that's made with aged cheddar, Emmenthaler, potatoes bacon, and scallions. 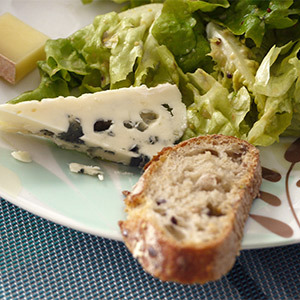 Wisconsin Wedge - A delicious, crisp salad with gorgonzola, smoked bacon slices, and homemade peppercorn ranch. Main Entrée with your choice of cooking style and Memphis-Style Dry Rub Pork, teriyaki marinated sirloin, shrimp, and more! Choccocino - An indulgent chocolate fondue with expresso that's perfect for dipping strawberries. 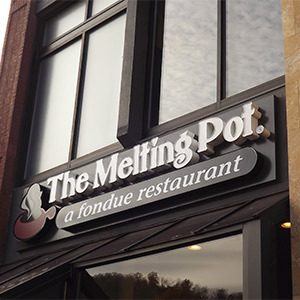 There's a reason The Melting Pot is a choice spot for romantic dinners in Gatlinburg, and you sure to cherish every moment of your experience here. Another romantic restaurant in Gatlinburg that rests in a romantic wooded setting is Crystelle Creek. This hidden gem in the Smokies places you off the main road in a scenic area just off Glades Road that rests by a creek. Being away from the main You'll enjoy a romantic walk up to this restaurant with a long, winding pathway that leads to the restaurant with manicured lawn with a 150' lighted tree. This restaurant boasts a menu with a wide variety of food options that's sure to please everyone. From steaks to chicken entrees, Italian favorites to Southern friend goodness, there's something for everyone at this romantic restaurant in the Smokies. On the weekends, you can even enjoy live music at this restaurant. Beat the crowd and enjoy a delicious meal at Crystelle Creek. Also located off of Glades Road, you'll find the Red Oak Bistro. This unique restaurant in Gatlinburg offers guests a cozy interior and a delicious menu that features Mediterranean inspired tapas plates, small dishes meant for sharing with someone special. 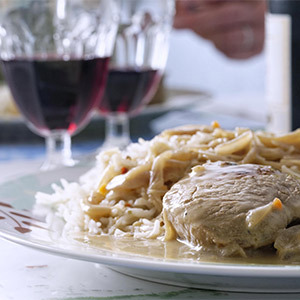 With a chef hailing from Bulgaria, this dishes at this restaurant are known for their artful plating and the unique fusion of Eastern European, Mediterranean, and Southern cuisines. There's also a drink list featuring beer and wine from all over Europe as well as some locally made ones, too. In the warmer months, you'll love enjoying a great meal with the one you love on this restaurants large patio that's perfect for a romantic dinner filled with the sights, sounds, and smells of the Smokies. 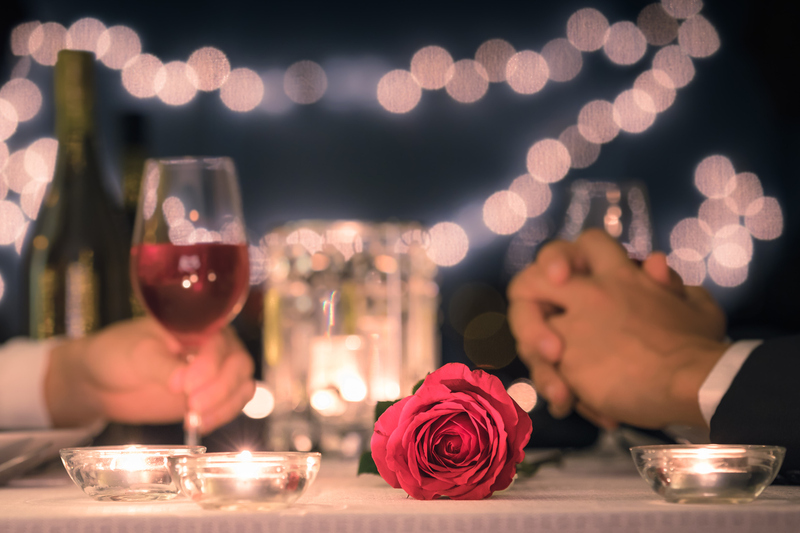 You can skip the crowds completely and show off your culinary skills by making your own romantic dinner at one of our Gatlinburg honeymoon cabins for two. With full kitchens and grills, you can cook up your favorite meal. After dinner, your cabin's comfortable amenities await. With hot tubs, jacuzzi tubs, fireplaces, and comfortable king beds, you cabin offers all the romantic ambiance you need. 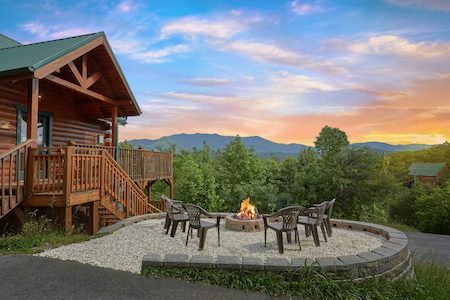 The Smoky Mountains offer the perfect opportunity to form cherished memories with someone special and romantic dinners in Gatlinburg are bound to be part of that experience. From area favorites to hidden gems off the beaten path, there's a romantic restaurant in Gatlinburg to suite your tastes and palette. Start planning your romantic getaway today when you book with Cabins USA! New in Gatlinburg 2019 - A New You! Ready for a change this year? This guide tells you how to embrace the new in 2019 in Gatlinburg. From exploring the mountains to picking up a new hobby, Gatlinburg offers plenty of inspiration for change in 2019.